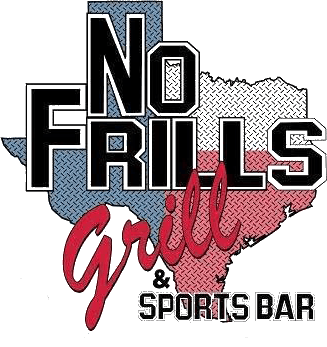 Welcome to No Frills Grill & Sports Bar! We have one of the most diverse menus you will find. With American Pub food to Tex–Mex and many Seafood entrees, you can always discover something new to eat. We are definitely more than burgers and wings with great chicken sandwiches, light and tasty salads, and an array of tasty appetizers. While you are enjoying dinner with your family, grab a playmaker and enjoy NTN trivia or Texas Hold’em poker. In addition to pool tables we carry the latest in video games including, Big Buck Hunter Safari, Golden Tee Live, Silver Strike Bowling, and internet powered jukeboxes amongst others. Most folks would agree that we have the best beer prices around. We offer a wide selection of bottled domestic and import beers, a full service bar, and at least 24 beers on tap. In addition to our already low prices, we have amazing specials throughout the week to keep it interesting. Check out our Daily Specials.